Markets have pulled back a little; Dogecoin, Monero, Holo still climbing. A minor correction has occurred on Monday as markets declined a little following their weekend gains. Total market capitalization did not make it to $240 billion and dropped back closer to $235 billion. Bitcoin has failed to climb any further and is trading at exactly the same level today as yesterday, $7,250. Trade volume has dropped almost a billion dollars in 24 hours indicating that the bulls could be tiring. Ethereum has already begun to fall back again and is very weak at the moment trading at just below $290, down 1% on the day. Altcoins are slightly in the red falling back just a little from weekend levels. The top ten is showing very little movement aside from Monero which has surpassed Iota by market cap and is trading 4% higher at $123 at the moment. The rest are just a percent or two off yesterday’s prices. The biggest mover in the top twenty is Ethereum Classic which has made 6.7% on the day to trade just over $14. VeChain is also up 4.5% but the rest are pretty flat, Iota has dropped out of the top ten losing a further 2% on the day to $0.70. Dogecoin continues to head upwards with another gain of 13% today to $0.0053 or 74 satoshis. Over the past week DOGE has made an impressive 120% as trade volume jumped just $2 million to over $85 million per day. On the day though volume has halved indicating that this could be the end of the doggie run. There is a planned test of the Dogethereum bridge this week where a demo will be streamed live on YouTube. This enabling of Dogecoin on the Ethereum network still appears to be driving momentum making DOGE one of the top performing altcoins of the day. Also performing well in the top one hundred is Holo which has pumped back up again by 52% today followed by Pundi X jumping 15%. Suffering at the red end is TaTaTu dumping 14% on the day. Total crypto market capitalization has fallen back a little today, dropping less than one percent to $236 billion. Trade volume however has declined from $14 billion to $11 billion which is a possible sign of this rally coming to an end. 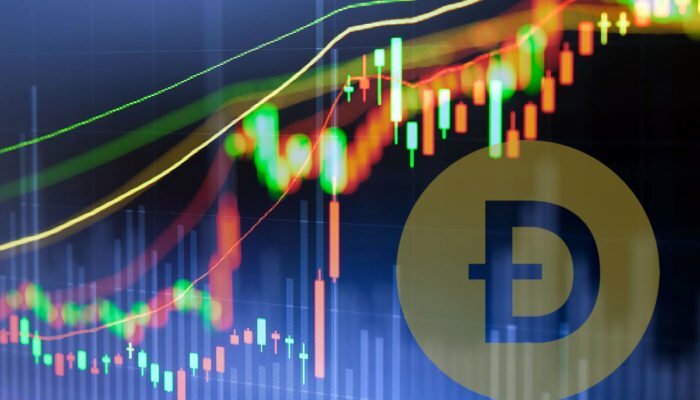 Crypto markets have had a good weekend with an 8.7% gain which equates to around $20 billion. On the month however they are still down 10% and the long term down trend is still intact.